Quarterback Jay Cutler has worn the same number throughout his NFL career, and thanks to his pocketbook, that will continue in Miami. 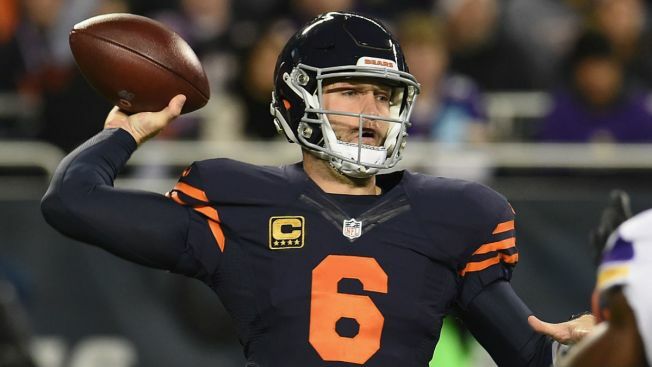 Cutler, the former Chicago Bears quarterback that came out of retirement to sign a one-year deal with the Miami Dolphins last week, will once again wear the number six when he takes the field. That's because Cutler purchased the number from Dolphins quarterback Brandon Doughty. The second-year quarterback out of Western Kentucky didn't tell the Sun-Sentinel how much he received for the number, saying that "we worked something out" when asked about the exchange by reporters. Needless to say, Cutler has the deep pockets needed to make such a deal. Cutler has made over $112 million in his NFL career, according to Spotrac, and he's poised to make at least another $10 million this season with the Dolphins. Meanwhile, Doughty has made just under $340,000 in his NFL career, and is only slotted to make $465,000 this season. Players bartering over jersey numbers isn't anything new in the sports world. Chicago Cubs outfielder Jason Heyward bought the number "22" from Addison Russell when he arrived in the Windy City, and the shortstop received a fancy watch and a Gucci wallet as part of the deal.